Alan Jones recorded his fourth win in five races at the Canadian Grand Prix in Montreal, successfully fighting off a determined challenge from local hero Gilles Villeneuve. Even though Jody Scheckter had secured the world title three weeks earlier at Monza, a huge crowd turned out to see if Villeneuve could repeat his success of a year earlier. And freed from team orders, the Canadian made public his desire to finish on a high. The pit lane was awash with rumours about driver moves. Jackie Stewart and James Hunt had both turned down offers to make comebacks in the previous fortnight, while Niki Lauda, who was driving in his 100th grand prix, had finally re-signed for Brabham, much to McLaren's frustration. But after the morning session on the first day, Lauda went missing and speculation abounded he had quit. Brabham claimed he was unwell but his place was filled by Ricardo Zunino, who had only travelled to Montreal to watch. He raced in Lauda's helmet and so sudden was his elevation to the cockpit that other drivers pondered why 'Lauda' was driving so erratically. It later emerged Lauda had flown home, his decision to retire being made there and then. A 30-car entry for 28 practice positions meant there was pre-qualifying (24 cars could start) and even that was far from straightforward as the four cars selected by the organisers to battle it out included two Alfa Romeos. Alfa withdrew in protest and so rendered the pre-qualifying unnecessary after all, but when practice started soon after the two Alfas were ready in the pit lane. Both were barred from taking part. Jones took pole but it was Villeneuve who made the better start on hard tyres. "We knew he would," Jones said. "The plan was to let him set the pace for 30 laps and if everything was OK with my car, I would challenge him for the lead." Jones launched his first attack on the 44th lap, and as Villeneuve's tyres started to fail, Jones capitalised on a mistake to pass seven laps later. 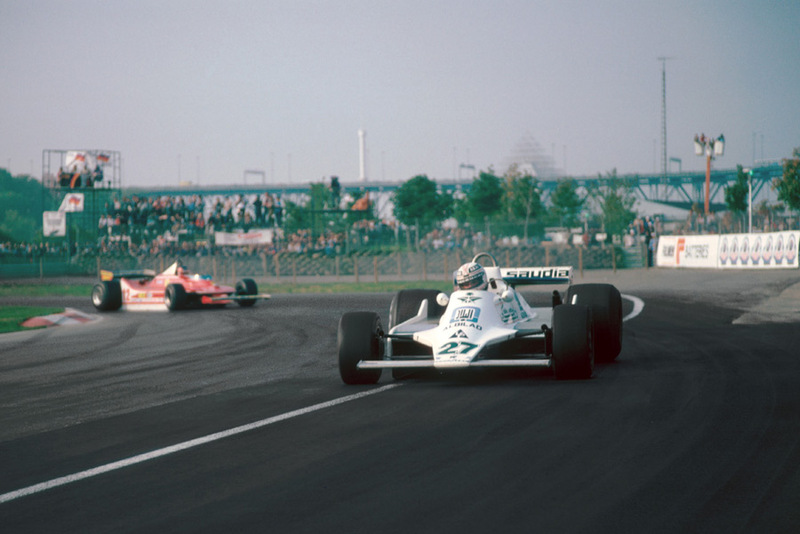 Villeneuve refused to be bowed and chased the Williams hard but Jones had too much pace. "I couldn't believe it," Jones said. "That guy just doesn't know when he's beaten." Clay Regazzoni completed a good weekend for Williams by taking third. Scheckter started back on the fifth row, worked his way to fifth before having to pit for a tyre change, rejoined in 17th and again scrapped his way back up to fourth.